Chef Mariyam came to my place and made an awesome lunch for my birthday. The initial plan was to do a dinner party, but we got so hooked to Dominion that we decided to shift to to a lunch to maximize game playing time. 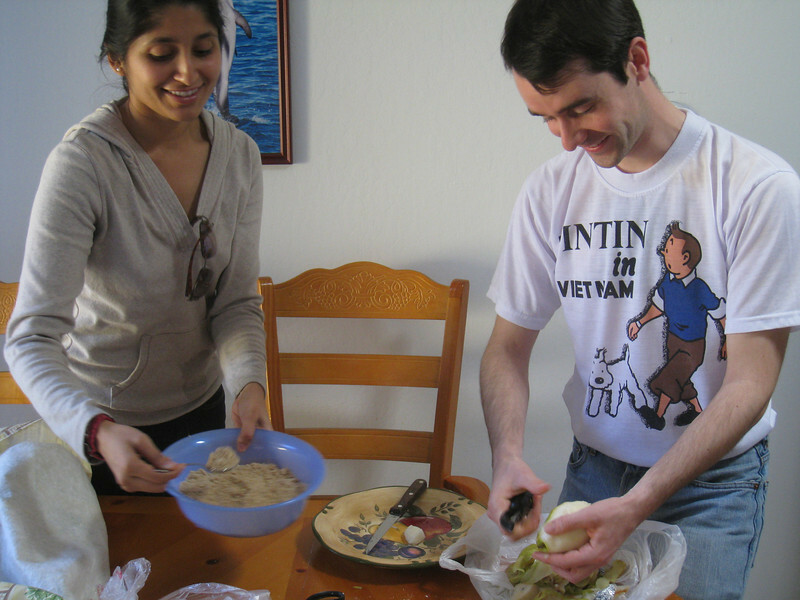 Shubha helping Francois with the pear almond tart.